After some more intensive digging, I think it may be ATF-10136. Is it possible? The datasheet does not state the package marking. I did not notice that. I have just skimmed through and searched for "marking" as usual. My bad, sorry. I received two pieces of this devices from a friend and I'm really curious to know what it is. Can anyone help me identifying those, please? It is apparently soviet device, made in autumn 1975, that's all I can tell. SD adapter included for scale. I do exactly the same thing, search by keyword "marking" in datasheets. They appear to be ICs, the soviets made some weird stuff. Yep, they made a lot of weird stuff. I cut my teeth on electronics stuff made on eastern side of iron curtain. Thanks for your guess; looks like we have similar thoughts. That packaging looks phenolic-resin-ish, perhaps some hybrid stuff? My other guess is passive network. I'll wait for a while and then perform measurement and vivisection of the object. I stumbled on these sorting through my stash before moving, I'd be interested in any information on the STC microwave sources. Could someone name the components on here please, u want to try and build one of these but I don't know what the components are please help me. Well, the most that can be done with the photograph that does not show any part numbers (at least I couldn't see them) is to go with what it is usually used in such designs: the large IC is a preprogrammed microcontroller (which you will probably never be able to obtain the programmed firmware), the bottom left part is a voltage regulator (most probably a LM1117 or something like that), the top larger black part above the microcontrollee is a crystal oscillator and all the six pin parts are drivers or transistor pairs (probably MOSFETs). Assuming that you didn't design this to be asking such question, I think a much fairer scenario is to either reward who designed this by buying their product or try and create your own product instead, don't you agree? 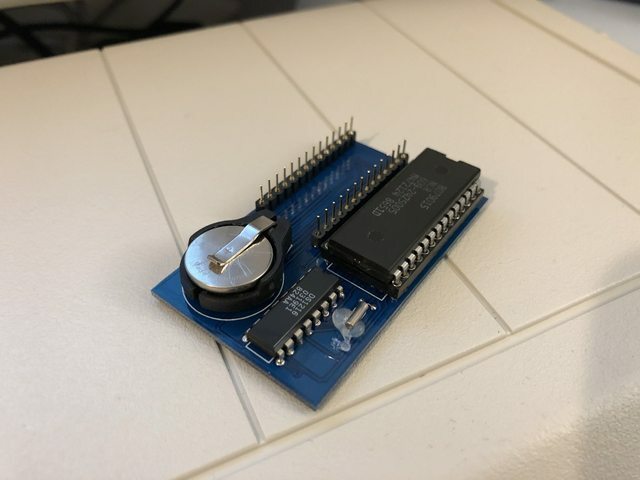 I'm looking for a source for 28 Pin DIPP versions suitable for old ROM Sockets for a Clock Board project - I've created a replacement for the old Tandy SmartWatch modules with a replaceable CR1632 lithium cell for the EX models (which never worked with the OEM units due the location and height). A few folk who own other models want a version of my adapter for their systems (the Originals have potted batteries and are mostly dead) - I was hoping I could use a ribbon cable adapter solution for the other systems. I understand buying their components but when they charge 250 for it. Just hard to justify. I'll just write code to an Arduino. Was just trying to get an idea of what the chipset was. We simply can't tell you what we can't see. You haven't provided a picture of sufficient resolution to read any chip markings. Nor did you transcribe them for us. The general answer you already got is about as good as it gets from those pictures. It's probably a 44-pin PIC. 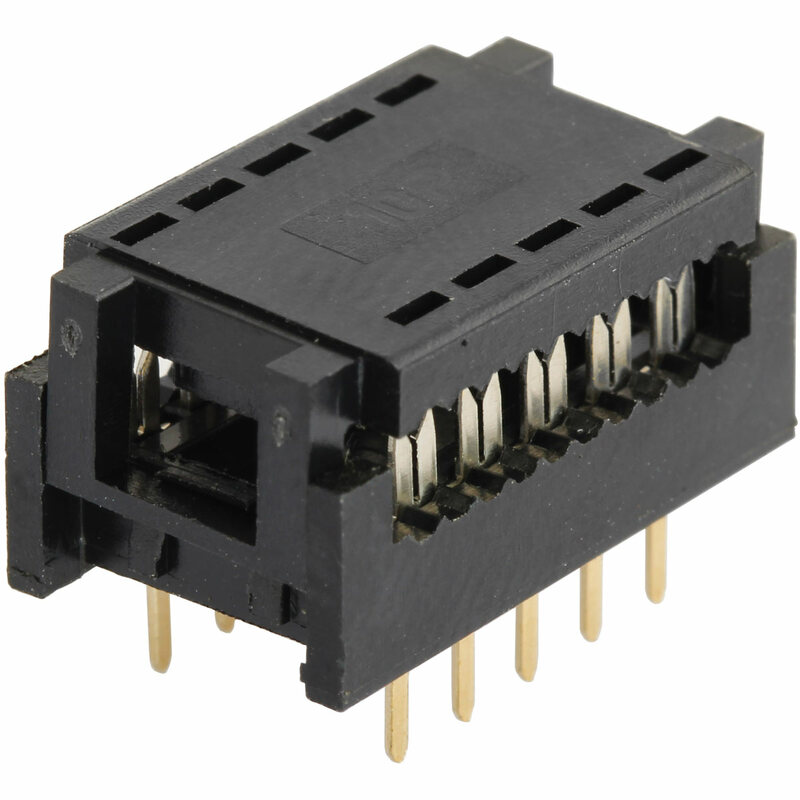 The 6-pin programming header with GND on pin 3 and the two data/clock lines on 4 and 5 strongly suggest it. I'm trying to figure out the part number on this please guys so that I can get another one. It seems there maybe letters missing at the start? It's on the output side of a Dyson Rechargeable vacuums charger.. Anyone know what it is please. One page lead me to an Analogue Devices part but the package type was wrong. It's DIP8 package however it only has 7 legs. Leg 6 is not present and legs 7+8 are joined together. I just picked up a load of chips and stuff like that, Some I can find out what they do on parts.io but no idea on how to offload them as I have no use for them. 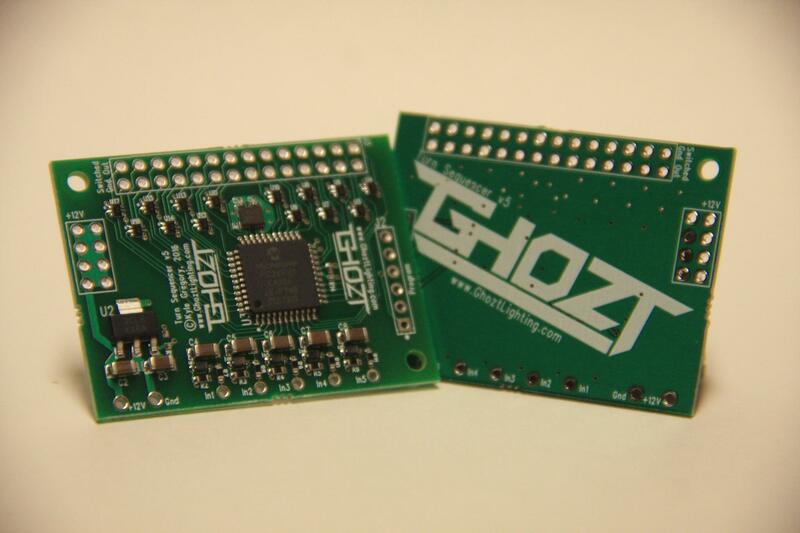 Make a hardware neural net, like NeuroBytes? You can use these as terrible solar cells. Make an impractical solar panel. Or put some known data pattern on them, and expose them to various kinds and doses of radiation as a longevity experiment. Sell them individually to people restoring old computers, arcade machines, and industrial gear? Use them for processing? Make an array of rams, connect the data output back into the address input, and fill with specially designed patterns (read: program your new processor). 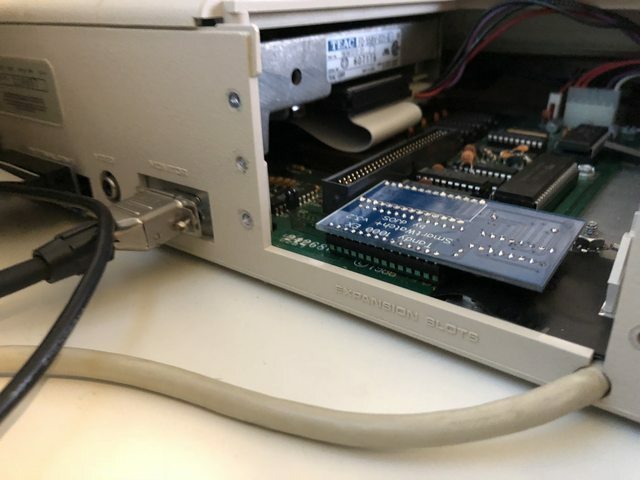 Look up sdramThing—that guy made a logic analyzer with output to a large LCD panel out of ram. EDIT: On a second thought, maybe Fran Blanche would be interested in getting some as she has very nice & didactic tutorials on vintage technology. Maybe you can just ask her if you wonder what to do. Just suggesting. I doubt she'd want all of them. Maybe one to a few of each. Good idea though. Edit: Probably not while she's dealing with being evicted. This device appears to be some kind of light sensor. It has no markings that I can see. I found it on the floor by an electronics recycling bin that people look through for parts. The chip and two capacitors are mounted on FPC, which is mounted on a stamped (?) aluminium piece, which has some glue on the back. It's a hard, white, translucent glue that I've seen in optics before. From the top, with the loose ends of the FPC facing me and the sensor facing up, the traces go like this: 1 narrow, 2 wide, 7 narrow on the left; 6 narrow on the right. One capacitor is across the two wide traces (so those are likely power and ground) and the other capacitor (the angled one) is from one of the wide traces (probably ground) to a trace that goes under the chip. The one narrow trace on its own wraps around to the other side of the chip. The loose ends have some markings as if they're inserted into connectors that far, but no copper is exposed, and the edge appears to be torn—it's not quite straight and square on either side. Pictures 1–3 show it on some painter's tape. Picture 4 shows it on a USB standard-A plug for scale. Picture 5 was taken with a USB microscope. 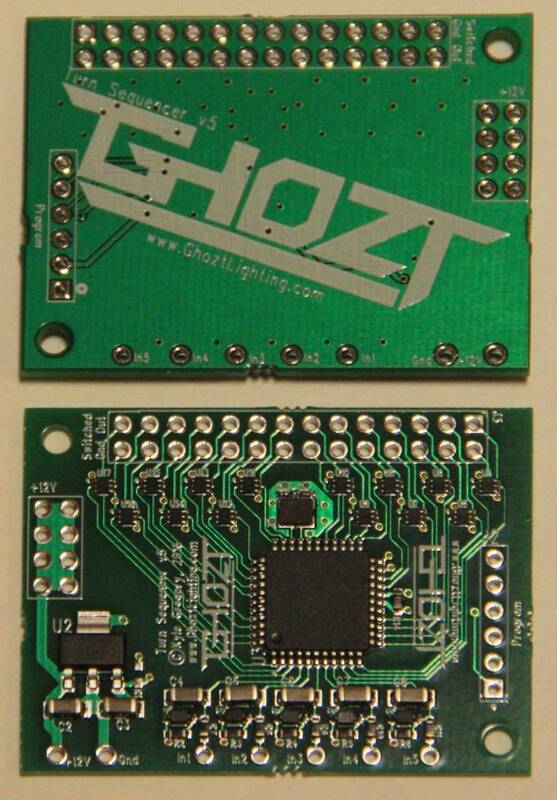 I agree, it's a BGA light sensor. No idea of the application, however. Optical detector for a DVD or CDROM drive, the bit used to recover the data from the reflected light. I suspected that due to the construction, but I've never seen one quite like this in my disassemblies. I'll have to keep my eyes open for them.